Analysts do not see a pressing need for a REIT exercise as KLCC Property is not in urgent need of cash. SPECULATION about a real estate investment trust (REIT) exercise by KLCC Property is not new. At its analyst briefing in April, management said that it was still undecided on this issue. Coming up with a REIT will not enhance the value of the company but merely unlock the otherwise trapped value. This is because its assets have constantly been revalued to market value, already reflected in the net tangible asset of RM5.55 per share, which is close to our revised net asset value estimate of RM5.32 per share. We do not see a pressing need for a REIT exercise as the company is not in urgent need of cash. Its balance sheet is still solid as net gearing at end-March was 21%, low for a property investment company. Its debt-to-investment properties ratio of 19% is also lower than most local REITs. Another potential obstacle to a REIT is major shareholder Petroliam Nasional Bhd's (Petronas) 360.7 million redeemable convertible unsecured loan stocks (RCULS) which have yet to be converted into common shares. All outstanding RCULS would be mandatorily converted into common shares 10 years from issue the date of (i.e. Aug 9, 2014). We do not expect a REIT exercise to take place before the conversion of the RCULS as Petronas would miss out on the benefits of such a move. As there is no confirmation of such a move or its timing, we retain our “underperform” rating. 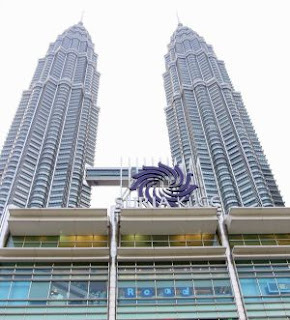 Without confirmation of REIT plans, KLCC Property could be de-rated as investors switch to larger local REITs like CapitaMalls Malaysia Trust and Sunway REIT for higher yields. Mass Rapid Transit Corporation Sdn Bhd (MRT Corp) has confirmed that it is in negotiations with the government to build an underground station integrated with Bukit Bintang Plaza (BB Plaza). The plan to integrate the station towards BB Plaza will do away with the need to involve private properties in completing the project, and at the same time provides a golden opportunity to reposition the almost 40-year old BB Plaza. Discussions between property owners and traders on Jalan Bukit Bintang with Prime Minister Datuk Seri Najib Tun Razak was held in March, after which the prime minister raised concern over the planned five-year closure of businesses there. MRT Corp explored three alternative solutions but decided on the station integration option. "It is the best solution because it presents UDA Holdings with the opportunity to redevelop BB Plaza, with a direct linkage to a key public transport infrastructure. "This link will bring immense benefits to the mall. We have had several meetings with the Ministry of Finance (MoF), as owners of UDA Holdings, to connect the station to BB Plaza. "Discussions are continuing," said MRT Corp Chief Executive Officer, Datuk Azhar Abdul Hamid in a statement today. He had also clarified reports that MRT Corp was going to acquire BB Plaza. "It must be clarified that there has never been any plan to acquire BB Plaza. Our principal focus at present is to build the Sungai Buloh – Kajang (SBK) MRT line. "We don’t want to be distracted by property development at this stage. All our discussions with the MoF have always been about finding solutions to address the prime minister’s concerns," he said. Azhar said the construction of the Bukit Bintang Station presents several golden opportunities. One is for UDA Holdings to redevelop BB Plaza to keep up with the times. "The other end of Jalan Bukit Bintang has seen rapid redevelopment over the past few years, and this has clearly added KL’s appeal to both locals and tourists alike. BB Plaza can be part of this 'new' Bukit Bintang. The 1970s-built BB Plaza has the potential to be the icon of the area," he added. The second opportunity centres on enhancing and elevating the Bumiputera agenda, as opposed to merely using cheap rental as a means to incentivise and promote their participation in trade. "Bumiputeras can now shift up a gear to become entrepreneurs. Of course, an area for small traders can be built into the redeveloped mall, but they must also be given the opportunity to move up the value chain. "This elevates their role, and is value-adding, so MRT Corp sees no reason why UDA’s role in promoting active participation of Bumiputeras in retail in urban areas has to be compromised with redevelopment. In fact, it can be enhanced," said Azhar. The days of providing merely cheap rental as leverage for Bumiputera businesses to grow and transform is no longer feasible, he said. "Cheap rental doesn’t make a destination. It is the quality and offerings inside the mall. With the mall redevelopment, the opportunity exists to reinvent the Bumiputera agenda and make it better," said Azhar. government agency or company to creatively redevelop Bukit Bintang, to ensure that there is a win-win situation for all parties. He noted that apart from housing estates, linkages to malls and public facilities are the key to building a public transportation system that will alleviate traffic congestion and provide a more reliable alternative to commuters. When completed in 2017, the MRT’s four-car train sets are capable of carrying 25,000 people per hour per direction. Moving this number of people in the traditional way would put further strain on roads that are already congested in the capital and its surrounding areas. UDA Holdings Bhd said yesterday it may ask for RM474 million from MRT Corp Bhd for its Bukit Bintang Plaza (BB Plaza) were it to let go of the property for the construction of an underground MY Rapid Transit (MRT) station. Chairman Datuk Nur Jazlan Mohamed said the prime property could cost around RM374 million, with a further RM100 million required to compensate BB Plaza retailers who had to leave before their lease expired. Speaking to Business Times after launching UDA Holdings’ RM13 million IT transformation programme yesterday, Nur Jazlan said construction of the underground station would also affect Bumiputera businesses as at least 60 per cent of the 150-odd retailers at BB plaza, which is owned by UDA and built in the 1970s, are Bumiputeras. MRT Corp plans to take over the land fronting BB Plaza and the adjacent Yayasan Selangor building next month to start work on the underground station, which is one of 13 stations for the 51km Sungai Buloh-Kajang MRT line. It will then take over the basements of both buildings to build the station, which means the retailers may have to move out next year. There are also talks on whether to redevelop BB Plaza or leave the building as it is. 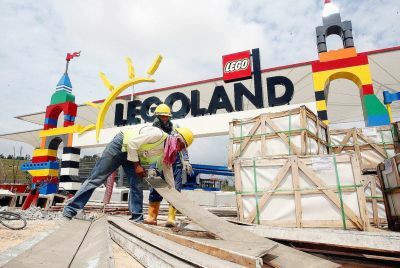 Nur Jazlan said while he supported the building of the station, the redevelopment of BB Plaza would harm the agenda to provide space for Bumiputera retailers in the capital city’s main shopping district. He said if MRT Corp were to acquire the plaza, the benchmark would be RM374 million for the building. "BB Plaza is the only prime asset we have left but if we can get RM374 million for the property, based on current market value, then we are willing to let it go. 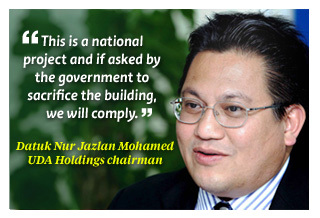 "This is a national project and if asked by the government to sacrifice the building, we will comply. However, we will also seek compensation for the retailers," he said. If the asset sale does go through, it won't be the first deal between UDA and MRT Corp. About six months ago, MRT Corp paid UDA RM80 million to acquire UO Superstore and Plaza Warisan in Kuala Lumpur, RM40 million below market price, to build an MRT station at the sites. KUALA LUMPUR: United Malayan Land Bhd (UMLand) has appointed Chia Lui Meng as its new group chief executive officer with effect from Monday, succeeding Pee Tong Lim, whose tenure ended in February when he retired. Chia, who was the CEO of Malton Bhd and adviser to the group managing director of Naza TTDI Sdn Bhd, will be responsible for the strategic direction and overall management and operations of the UMLand group.